At the Jaakkola Reindeer Farm in the village of Luosto, in central Lapland, travelers get to join in the everyday life of the Jaakkola family. Living in the middle of nowhere makes guests wonder where the kids go to school. It’s been almost a decade since Anu Magga and Jani Jaakkola met while helping out their friends at a Sámi wedding. Jani was in charge of the cooking, and Anu took care of serving the food. It became instantly clear that the two worked well together. – It was late spring and by autumn, we already worked together at the reindeer farm, says Anu. Anu moved onto the Jaakkola Reindeer Farm in Luosto, where Jani is from. Jani’s grandparents had horses, cows and reindeer at the farm. Grandpa Väinö was a boatwright and Grandma Martta hosted reindeer herders at the guesthouse that is now Anu and Jani’s family home. Jani’s father Reino was one of the first reindeer herders who took tourists on reindeer sleigh rides in the eighties. Anu and Jani have four kids: one-year-old Nilsu and three-year-old Inker-Anna as well as their respective 15-year-old daughters from past relationships. – All the kids have their own reindeer marks. Even if they don’t have that many reindeer, they have to have their own marks. It’s the biggest gift a parent can give to a child, says Anu who comes from a reindeer-herding Sámi family. 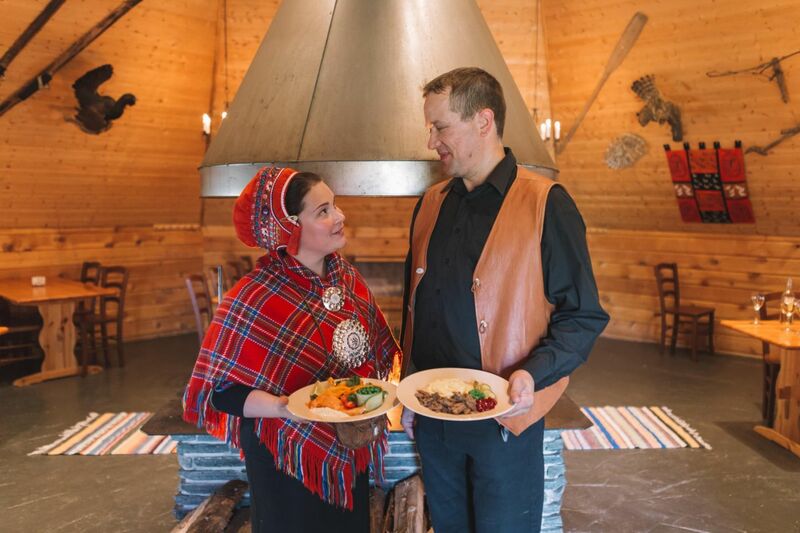 Anu wants to make sure all guests at the Jaakkola Reindeer Farm have a unique but authentic Arctic experience, which is why she decided to start telling stories about the Saami way of life. Anu sees it very important to talk about her own culture and the indigenous Sámi people. – I’m Sámi, and I think it’s important to share accurate information about Sámi culture, she says. After a reindeer sleigh ride, guests hear stories about nomadic reindeer herding from Anu’s grandfather, Paulus. 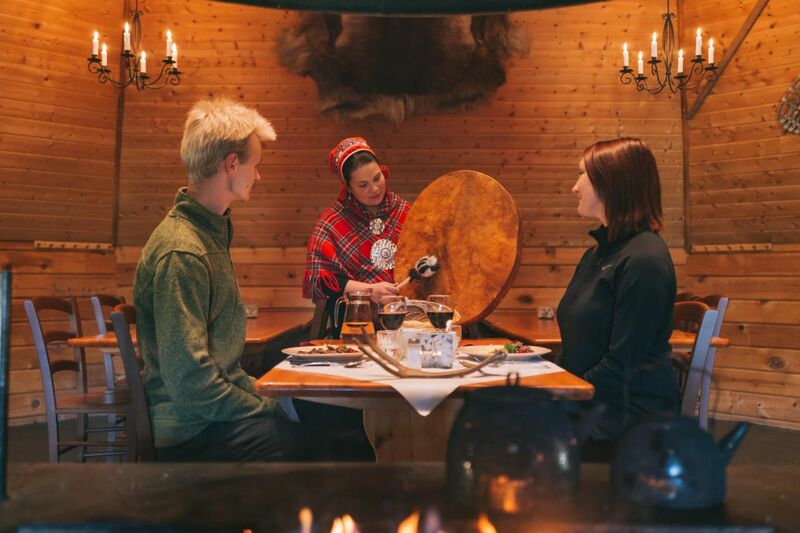 Spanish guests have enjoyed her joik – traditional Sámi song – version of the popular hit Despacito. Usually visitors are most interested in local everyday life, like where the kids go to school or what the family had for dinner the night before. – A typical question is whether we eat reindeer every day. I also explain on a daily basis where and how the kids go to school. When Anu replies that they do eat reindeer everyday and that the kids’ school lies 20 kilometres away, guests stare at her in astonishment. She says authenticity is important. – People like it when they realize this is our home and our life that we speak about. Anu is from Vuotso. Her family have herded reindeer for almost 400 years and about 100 years ago they moved with their reindeer from Norway to Vuotso in Lapland. Jani has always lived at the Jaakkola family farm. – I was born and raised to herd reindeer; it’s in my blood, says Jani. Reindeer herding keeps the family busy all year round. The tourist season starts earlier every year since the Northern Lights are visible right after nights get dark in August. The busiest time of the year is the Christmas season, but Anu wants to make sure her kids have a proper Christmas, too. Fetching the Christmas tree from the woods, singing Christmas carols and waiting for Santa to visit their home on Christmas Eve are all part of the Jaakkola family’s traditions. 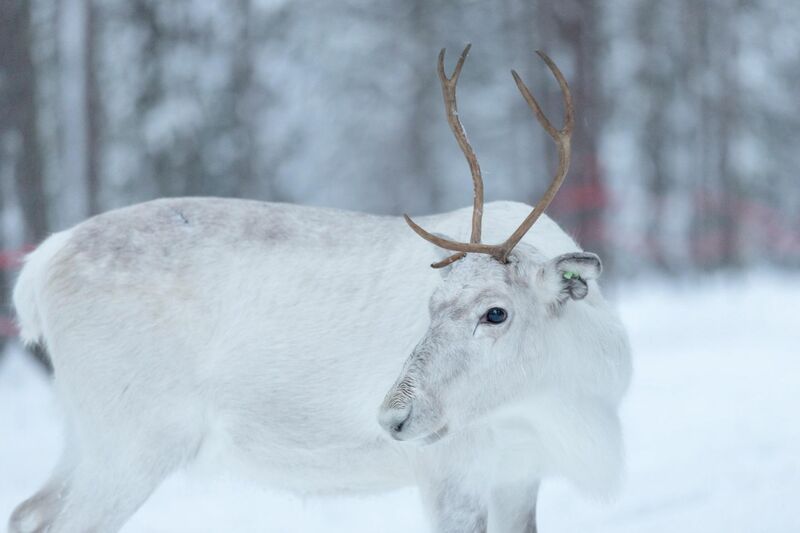 In Finland, the classic Christmas dish is ham – but not at Jaakkola Reindeer Farm. – Reindeer roast is the main course at our Christmas table, says Anu.